Breckenridge, Colorado with its variable terrain, sunny weather, and dry powder, works great as a holiday getaway for families with skiers from beginner to expert. You will find there are more sunny days in Colorado than any other state! The buzz in this charming victorian town is a must see. Whether it is summer, winter, fall or spring there is always some sort of event in town. The town of Breckenridge has an Old West flair and you will find some of the shops, restaurants, bars, and lodging take you back in time to 1857 when the town was founded. For information on the history of the area, visit the Summit historical society. Whether you are on a romantic vacation, college break, or family getaway this the perfect spot for family vacations, romantic getaways, or taking breaks from college. Breckenridge has a little something to appeal to everyone. Lodging rates and availability fluctuate with the seasons, but Breckenridge lodging includes enough condos, hotels, and private residences to satisfy the taste of any type of traveler. 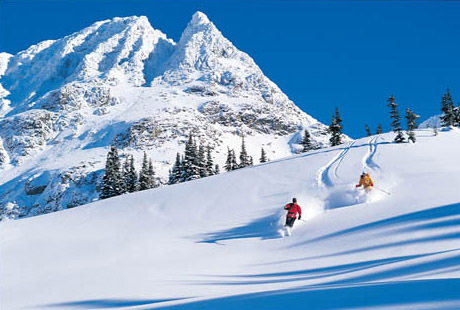 The mountain is teeming with skiers and snowboarders alike enjoying sunny days and amazing powder. 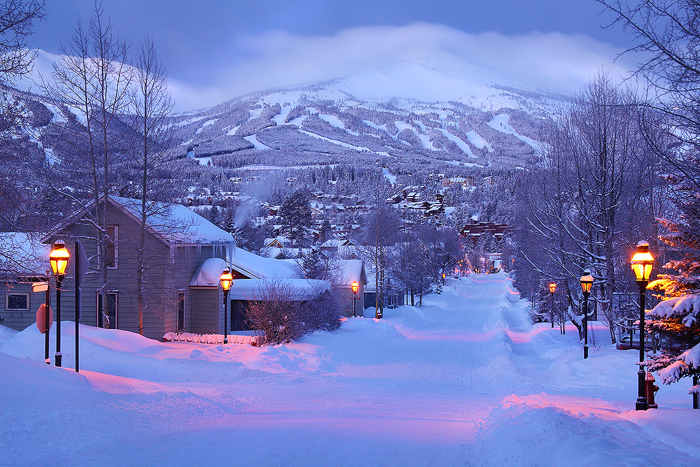 When winter arrives, you have access to 5 worldclass peaks at Breckenridge Ski Resort. Breckenridge which is owned by Vail Resorts made two major improvements, which has enhanced its image among the United States finest ski resorts. 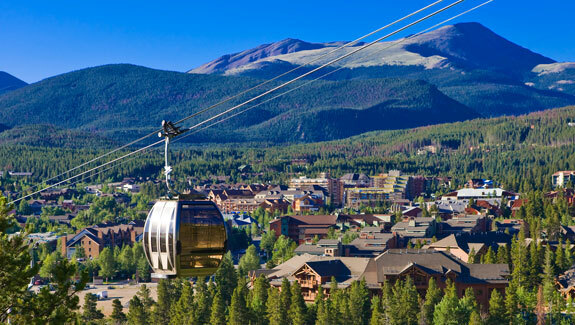 The most notable claim to fame is the fact that Breckenridge has the highest chairlift in North America plus a gondola to transport skiers and boarders from the parking lot to the slopes. 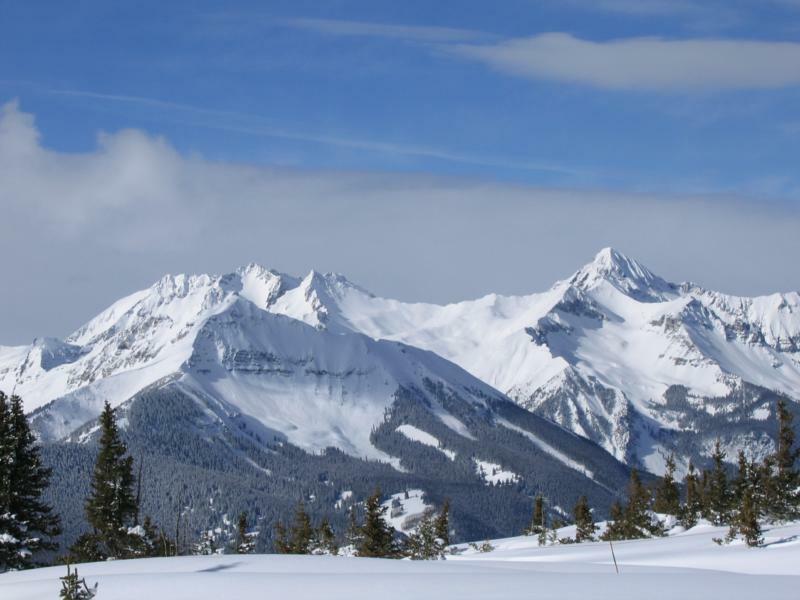 Many visitors to the town don’t end up skiing but rather take in the incredible scenery, and take advantage of other winter activities like snowmobiling, Cross Country skiing and snowshoeing. When it comes to choosing a place to stay there is such a wide variety of options. The variable to consider are the size of your group, the optimal bedding configuration, location to a chairlift, location to town, amenities, and of course quality of furnishings. The three main type of dwellings in town are condominiums, townhomes, and private homes. What is nice about the lodging arrangements is that there are a lot of larger units that cater to families and bigger groups. These choices make skiing more affordable for the average family. Some standard amenities that you will see are full kitchens, hot tubs, gas fireplaces, and WIFI in almost all the units. When it comes time to plan your trip it’s almost never too early to plan. There are sometimes incentives for booking early but the trend is fewer incentives for last minute trips. As the prices of lift tickets has increased guests have modified their booking behavior toward committing to buying the Epic Pass and planning their vacation at the same time. The Epic passes must be purchased before the end of November which ends up being the most economical way to buy lift tickets for the week. If you coming during the premium holiday times make sure you book early because the lodging units fill up very fast during the Christmas/New Years Holiday, Presidents Week, MLK weekend, and of course Spring Break. So Don’t Delay! Another helpful tip is to preorder your ski rentals during the premium weeks. There are a lots of ski equipment rental shops in town so pricing is good but you can see shortages during the premium weeks. There are so many Breckenridge events, festivals, and concerts during the summer you are sure to hit one of them during your stay. 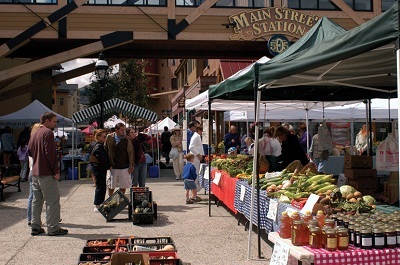 Every weekend there is a farmers market in the Main Street Station plaza with performers, crafts and of course food. There are also many events like concerts, bicycle races, and even the unthinkable outhouse races! So be ready to take in the Peak 8 Fun park with all that it has to offer. The Alpine slide is the odds on favorite but they have a zipline, mountain climbing wall, bungee trampoline, and to cap it off road Segway’s! The temperature in Breck stays in the mid 70’s but be prepared because there is a great chance you will need a heater than an air conditioner in the summer. A lot of visitor come from the southern states trying to avoid the heat and humidity. 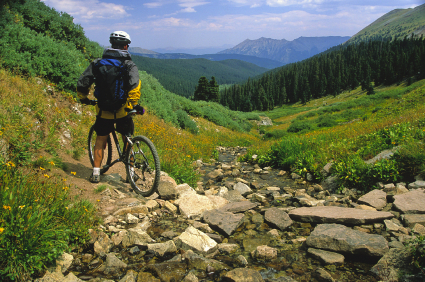 Standard activities include, hiking, biking, fishing, golfing, rafting. If you are not an outdoorsman Breckenridge is still the place to visit because of all its specialty shop, restaurants, and taverns. Although finding Breckenridge lodging in the summer is not as challenging or pricey as it is in the winter, you’ll still need to make rental reservations early, as the secret is getting out that Breckenridge is just as appealing without the snow and condo rentals fill up fast. Breckenridge rentals hit another peak during Memorial Day, Labor Day and the 4th of July. Breckenridge condos are always popular for groups of any size. And during the summer, guests are less likely to demand that their lodging be on the ski slopes, so availability of condo rentals is more open and it’s easier to find a great rental in the center of town. Some rentals have an indoor or outdoor pool, so check for that in your lodging if swimming is your thing. The views can be different during the different times of year, so that may affect rental prices of your Breckenridge condo as well. The offseason is clearly in the Spring and Fall. We call it the mud season, but these are ideal times to come to get excellent pricing on lodging and there are many promotions by the merchants. The weather really changes a lot during this time of year so be prepared for snow or heat. Some of the local shops and restaurants close down during the slow season, so if your okay with not experience the full town then this would be an ideal time to getaway to the mountains.